What a wealth of uplifting, healing music has come, and continues to come, from this country. The majority of its music is based on the 5-note Pathagorian Pentatonic Scale, the most harmonious of all scales. Autumn Moon over a Quiet Lake by Lu Wencheng (a famous composer from the Canton provence). 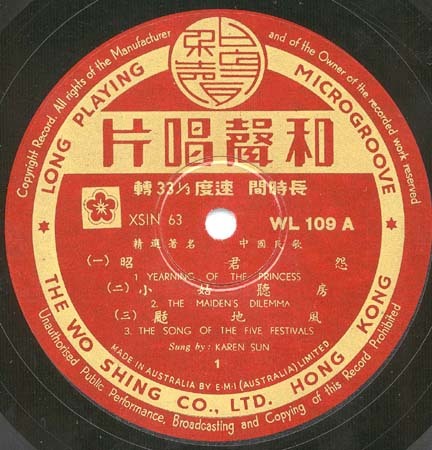 Composed in the 1920s Performed by Li Xiaogang. Beyond the Frontier for Pipa and Orchestra An ancient melody arranged by Zhang Dasen.